Few months ago, when President Donald Trump met with his Egyptian counterpart, President Abel Fattah el-Sisi referred to the Islamic jihadist doctrine as, “the Satanic ideology of terrorism.” Despite this characterization, President el-Sisi’s regime continues to abuse those who speak out against Islamic terrorism or join a non-violent Islamic sect. Blasphemy laws in Egypt and other Muslim majority countries remain the biggest obstacles to countering Islamic terrorism in the Middle East. Muslim scholar Sheikh Mohammed Abdallah Nasr, known in Egypt as “Shaikh el-Thawra” (the Sheikh of Revolution), was sentenced on April 30, 2017, to 11 years in prison for five charges of blasphemy. One month earlier on March 30, 2017, Mr. Nasr was originally sentenced to two years in prison for blasphemy, one month later he was convicted of additional blasphemy charges and his sentence was extended to a total of 13 years in prison with hard labor. Mr. Nasr’s crime was embracing a non-violent version of Islam. This reformist version of Islam is similar to that practiced by the Islamic Quranist sect, which denounces the Sunni and Shia theologies, theocracy, jihad, and cannibalism. 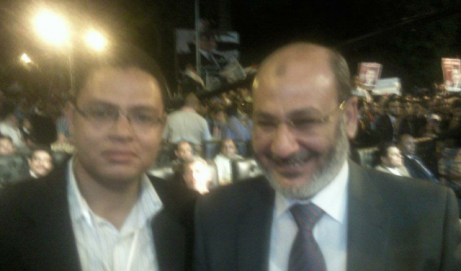 In Egypt, Mr. Nasr is revered by millions of Muslims, Christians, and Atheists alike. He is known for marching through Tahrir Square during the protests, holding a cross and a Quran to symbolize national unity. He has given countless religious sermons and has appeared on numerous television shows, where he denounced all forms of Islamic theocracy and the persecution of non-Muslims. Mr. Nasr is a staunch critic of Egypt’s al-Azhar University’s role in teaching and recruiting youth into adopting ISIS-style beliefs. Mr. Nasr publicly promoted the non-violent values of the tolerant Quranist sect and advocated the Quranists as an alternative to the violent Sunni and Shia sects. Dr. Ahmed Subhy Mansour, the leader of the Quranist sect, and many of his associates, have been the victims of Egypt’s blasphemy law. In 1987, Dr. Mansour and other Quranists were imprisoned for two months for blasphemy. The Quranists reject Islamic jurisprudence, jihad, and the hatred and persecution of non-Muslims. They believe in the separation of mosque and state. They reject polygamy, and allow interfaith marriages for women as well as for men. They also firmly reject apostasy and blasphemy laws and believe in the absolute freedom of thought and religion. The Quranists frequently defended those persecuted for criticizing Islam. These values are considered criminal in many nations which are either fully or partially ruled by Islamic jurisprudence, like Egypt. Criticizing Islamic cannibalism within the Sunni theology is also illegal. 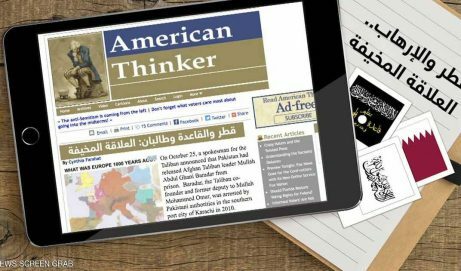 The Saudi backed ideology is threatened by the sweeping popularity of the Quranists, especially after the Arab spring and the rise of Islamic State. Dr. Islam el-Behery, another very popular Egyptian Islamic scholar and a television host, was imprisoned for blasphemy for the same reasons. He spent a year in prison for blasphemy, before receiving a presidential pardon earlier this year. According to Mr. Asaad Haikal, Mr. Nasr’s attorney, Mr. Nasr awaits ruling on his appeal for the latest 11 years, which is scheduled to take place on June 21, 2017. According to Mr. Mahmoud Nasr, Mr. Abdallah Nasr’s bother, his brother is sick with liver disease, and he fears his the possibility of Mr. Nasr’s assassination in prison, given the fact that he is imprisoned with ISIS militants and Muslim Brotherhood operatives who started harassing him prison. 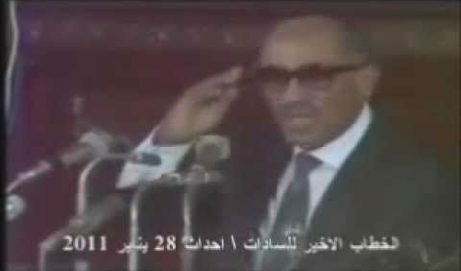 Egyptian blasphemy law was introduced to Egypt for the first time 1981, by Egyptian president Anwar Sadat’s (1918 –1981). Following the first modern terrorist attack against Coptic Christians in 1981, where 81 Christians were killed with the compliance of Egyptian security forces. At the time the Egyptian government claimed that the reason for the law was to “protect,” the Coptic minority. The actual application for the law proved to serve aggressors enacting on the Sunni doctrine against their victims. It is impossible to counter the spread of Islamic terrorism in the Middle East and beyond without allowing non-violent Islamic sects to be an available alternative. Dr. Mansour is right, the Wahhabi Saudi backed theology, cannot survive for long in a free society that freely examines it. The Quranists are the civilized world’s best allies and they provide a shield against violent Islamic sects. As long as Sunni and Shia Islam goes unchallenged, non-believers can find themselves eligible to become a deranged jihadist’s dinner, or to get ritually sacrificed when a plane flies through their building. President Trump needs to urge his Egyptian counterpart to immediately release Mr. Nasr from prison; end the blasphemy laws; and stop the sinister Islamic inquisition against those who preach a non-violent and non-cannibalistic form of Islam.